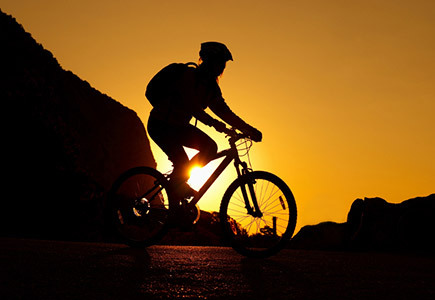 With beautiful, wide-open scenery, outdoor enthusiasts get a thrill from the large variety of activities to do. Don't feel like staying indoors all day? 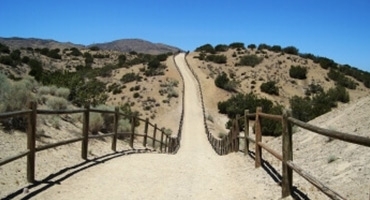 The AV has some of the best desert hiking and bike trails in California. If you're looking for somewhere to take the kids, check out our large selection of parks and recreation. So whether it's taking the family to our local waterpark or spending a sunny day out on the green swinging a golfclub, there's something for everyone! Grab a bottle of water and some sunscreen and get ready to plan some outdoor fun! 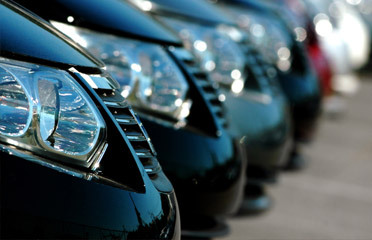 Check out these awesome places to go! 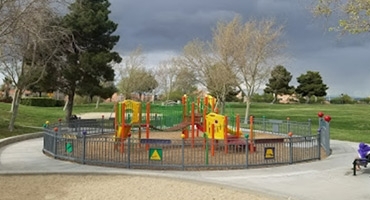 A family friendly park offering plenty of amenities such as a baseball diamond, playgrounds, tables, restrooms and paved pathways. This is a great park for a relaxing day trip with the kids or for a nice picnic with the family. This park, created in 1993, preserves the integrity of the unique site of Tomo-Kahni, or "Winter Village," a village occupied by the Kawaiisu people. The location was likely selected for its ideal temperature and resources. 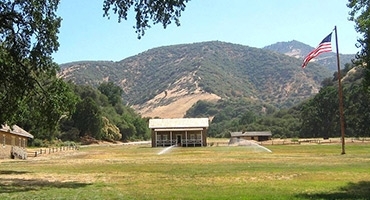 Fort Tejon is located in the Grapevine Canyon, the main route between California's great central valley and Southern California. The fort was established to protect and control the Indians who were living on the Sebastian Indian Reservation, and to protect both the Indians and white settlers from raids by the Paiutes, Chemeheui, Mojave, and other Indian groups of the desert regions to the south east. Domenic Massari Park has about ten playgrounds built into one park! Kids will definitely not run out of climbing here! Little houses make for imaginative places to play, as does a blue and red boat kids can climb inside. Views of the sometimes snow-topped San Gabriel mountains make a nice backdrop. Amenities include: playground, basketball courts, soccer field and tennis courts. Public park with a the following amenities: pool, skate park, playground, ballfields, athletic courts, amphitheater & BBQs. 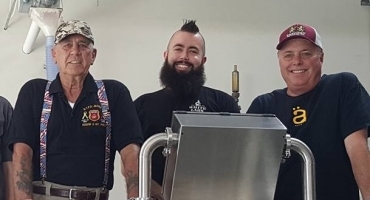 The Palmdale Fin and Feather Club is a non-profit, members only fishing and hunting club. They are located off the 14 freeway in sunny Palmdale, CA. With 48 fishing docks surrounding the lake, the Fin and Feather is the perfect place to get away and relax. Acquired from Kern County in 2007, the RCSD owns and operates the park. 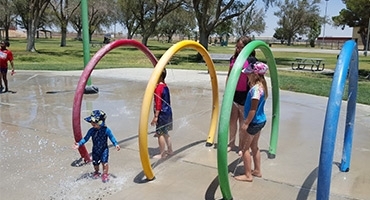 Located in the Westpark area of Rosamond, this park has facilities perfect for family gatherings; barbeques, playgrounds and offers plenty of space to play. 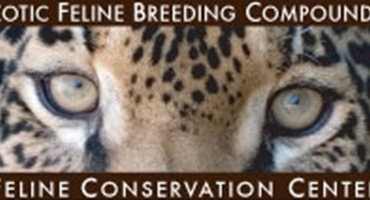 The Cat House is the Feline Conservation Center of the Exotic Feline Breeding Compound located in Rosamond, CA. The zoo/wildlife museum is home to many species of felines and is dedicated to the protection and preservation of the world's endangered felines. Each spring, the Antelope Valley California Poppy Reserve comes alive with the seasonal surprises of the Mojave Desert Grassland habitat. 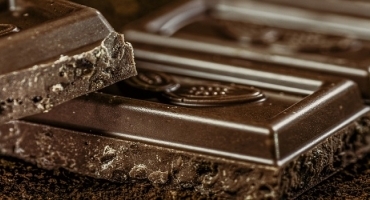 The duration and intensity of colors and scents vary from year to year. The wildflower season generally lasts from as early as mid-February through May, with a variety of wildflowers creating a mosaic of color that changes daily. 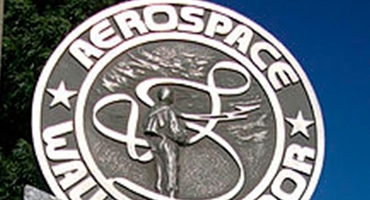 Dedicated in 1972, Apollo Community Regional Park is named in honor of the Apollo 11 astronauts. 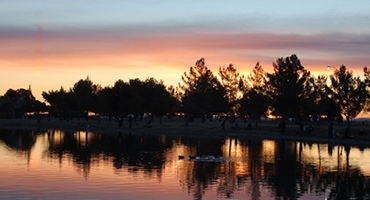 The 54-acre park features three man-made lakes. Take a leisurely stroll around the beautiful lakes and enjoy lunch at one of the many provided picnic shelters. Three fishing derbies are hosted each year, two for adults and one for youths, with prizes awarded for biggest catch. 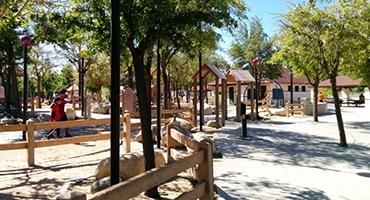 A quaint little neighborhood park, Pioneer Park offers visitors a basketball hoop, benches and a playground. 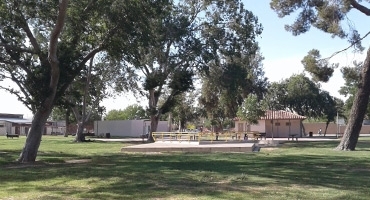 There are several picnic tables available and a place for the kids to play. It is the perfect retreat for an afternoon lunch or early evening dinner. 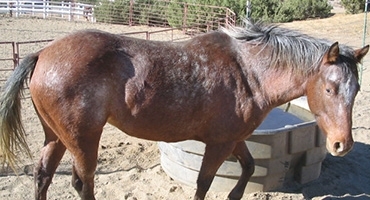 Located in between Acton and Palmdale, Rainbow Ridge Ranch is a horseback riding and rental stable with alot to offer. 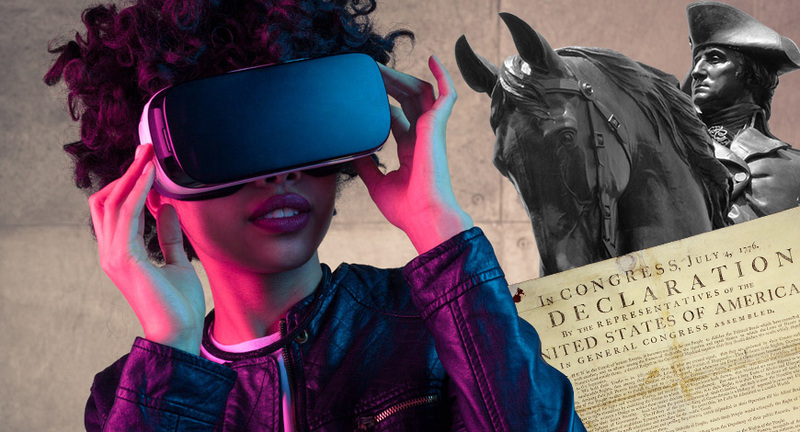 You can board or lease Horses and you can also rent ponies for pony rides. The Aerospace Walk of Honor program paid tribute to distinguished Edwards Air Force Base test pilots whose history of achievement in the field was outstanding. Sidewalk monuments along The BLVD continue to honor the history of these brave men and women. Formerly known as Lancaster City Park, Sgt. 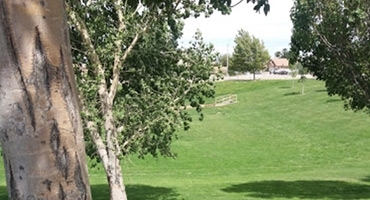 Steve Owen Memorial Park is a 63-acre, tree-lined park that is a hub of community activity. The park was named in 2016 in honor of the fallen officer, who died in the line of duty that year. This park is a nice hidden gem! Located in a quiet neighborhood, Anaverde Park offers the perfect space to play with a full basketball court and playground. 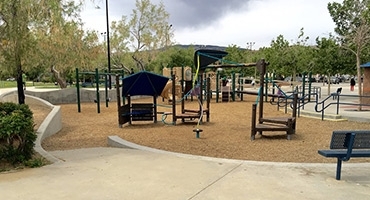 Located in a quiet neighborhood, Joshua Hills Park is nice little park with a large grass area perfect for playing or picnics and a small playground. 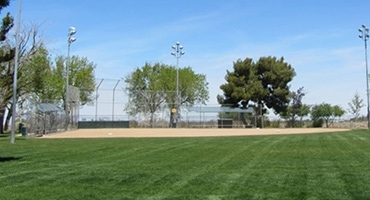 Arnie Quinones Park, formerly known as Hillside Park, is a 10-acre site located at 50th Street West and Avenue N. The site was developed in 1995 and has 2.5 acres developed as a turf play field. Future developments of the park will include a restroom and storage building, an additional play field, and a tot lot area. This park is named in honor of the fallen firefighter in 2011, Arnie Quinones. 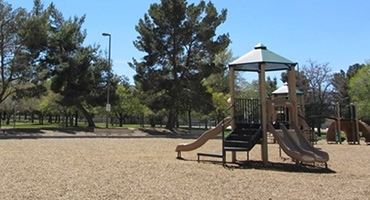 Located in the 400 block of Mesa Verde Street, Manzanita Heights Park is a public park nestled in a quiet neighborhood that provides guests with a pool, skate park, playground, ballfields, athletic courts, amphitheater & BBQs. This park is a great place to walk or have a family picnic. 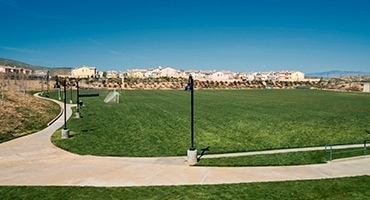 The 73-acre Pelona Vista Park has approximately 30 developed acres and serves as Palmdale’s primary soccer facility. 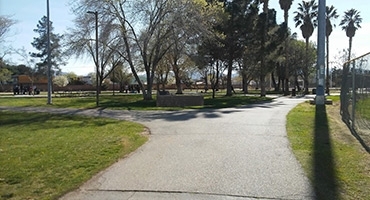 The park serves youth and adult soccer organizations, walkers and joggers. It hosts local cross-country events and also serves as an incident command center for fire-related disasters. Devils Punchbowl is a 1310 acre park opened in 1963. It's most known for its geological features. The Punchbowl Canyon is 300 feet deep below the vista point, which was formed from the water runoff from the higher San Gabriel Mountains eroding the site over a long period of time. 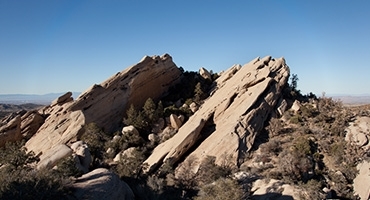 Vasquez Rocks is a 932-acre park known for its spectacular rock formations. Vasquez Rocks has a seasonal stream and is home to Tataviam Indian sites. for its spectacular rock formations. 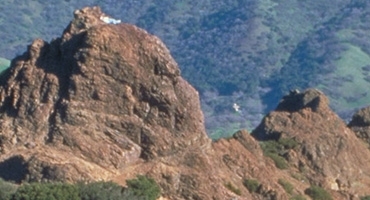 Vasquez Rocks has a seasonal stream and is home to Tataviam Indian sites. The location takes its name from one of California's most notorious bandits, Tiburcio Vasquez, who used the rocks in 1874 to evade law enforcement. 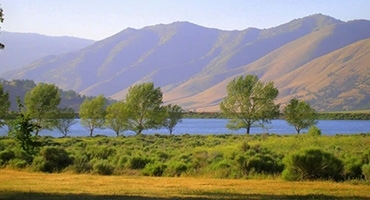 A 490-acre park is that provides rentals for family campsites. 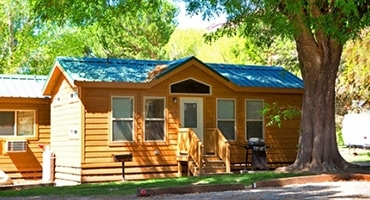 The mountain camp area features cabins with electricity and heating, a kitchen-dining building, showers and restrooms. 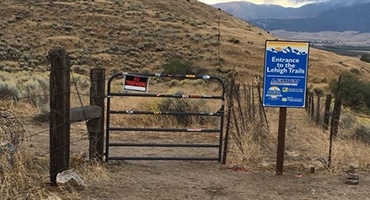 We are a non-profit organization that is into mountain biking, hiking, and other outdoor activities with a focus on creating and preserving non-motorized trails in the greater Tehachapi area. 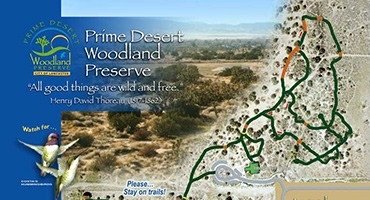 The Prime Desert Woodland Preserve a 100-acre scenic location, first proposed in 1985, that has provided visitors opportunities to learn about the animals, plant and the region in we inhabit. Enjoy a pleaseant nature experience by taking a trek on the preserve's over three miles of trails. 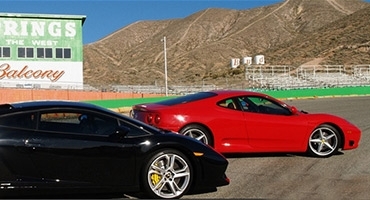 Mulligan Family Fun Center is a recreational park located in Palmdale, with various activities for everyone to enjoy. The newest attraction is a three story tall rope course featuring a rope bridge. 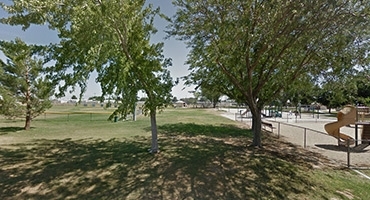 Mojave East Park is located in Mojave, CA within Kern county. 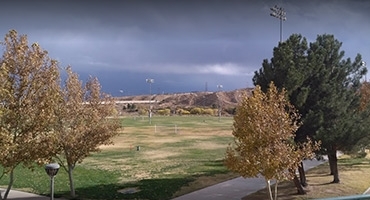 Mojave East Park is a privately held company Categorized under Parks. 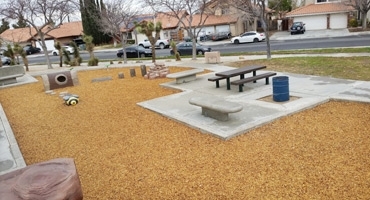 Mojave East Park has an elevation of 2,740 feet. 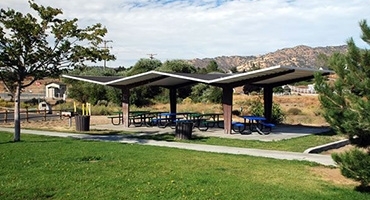 Meadowbrook Park is an eight-acre community park located in Golden Hills. 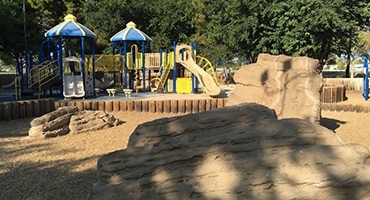 The “new” Meadowbrook Park opened to the public in October, 2016 after undergoing a $650,000 improvement project. 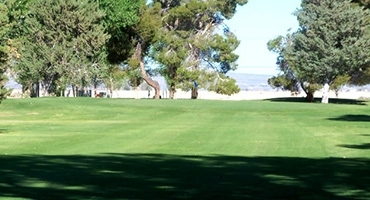 Rancho Vista Golf Club has facilities to provide its guests with an exceptional golfing, dining and entertaining venue. 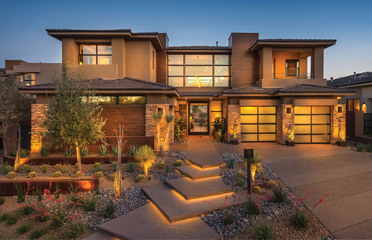 The golf course features a Ted Robinson designed 18-hole golf course offering a lush oasis-desert scenery while the Clubhouse features a comfortable retreat for a quiet family dining or for special occasions. 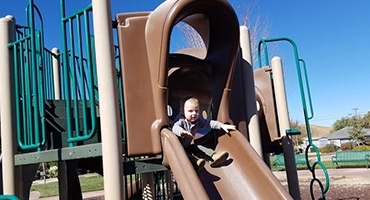 The park's playground comes equiped with swings, slides, fire poles and climbers. Melville J. Courson Park amenities: 4 basketball courts, restrooms, field house with restrooms, children's playground, gazebo, picnic pads and benches. McAdam Park's 20 acres have picnic areas and an Americans with Disabilities Act compliant playground. Swim lessons are offered in summer at the heated pool. 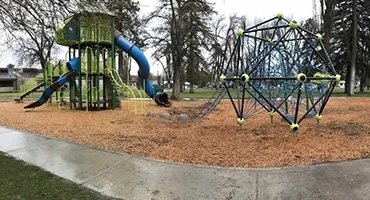 McAdam Park amenities: Heated outdoor swimming pool, 2 softball fields, 3 tennis courts, 4 group picnic areas, Walking/jogging path, Domenic Massari Gardens, Historic Palmdale Schoolhouse, Restrooms, Horseshoe pits, Barbeques, Children's playground. Mount Waterman's round summit provides boulders for climbing and viewing. 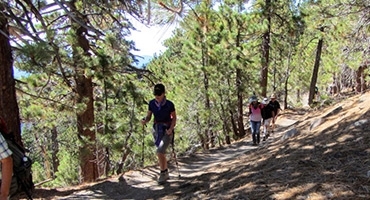 Take a trek through a sylvan mixed forest of incense cedars and Jeffrey pines as you ascend 1,265 feet over 2.75 miles. Descend the same way or return by a dirt road for a 5.65-mile (or longer) loop. From Mount Waterman trail extends the Twin Peaks Trail, which can be used to reach the stunning summit of Twin Peaks East and add another 6 miles of hiking (round trip). An hour’s drive up Angeles Crest Highway from Los Angeles takes you to the trailhead. 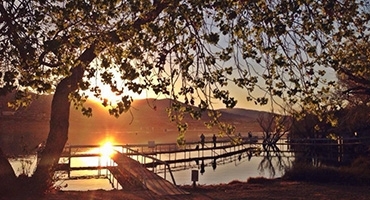 The Brite Lake Aquatic Recreation Area is operated by the Tehachapi Valley Recreation and Park District and is surrounded by some of Tehachapi’s most beautiful natural scenery. Camping, fishing, hiking and wildlife viewing are some of the year-round recreation that can be enjoyed at the site. Philips Marx Central Park is a 5-acre park that features central gazebo, picnic tables, barbeques, restrooms and playgrounds. 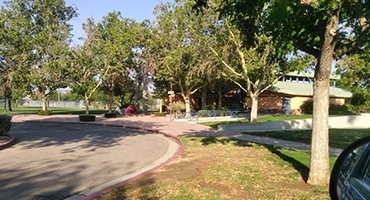 A community building located on south side of the park next to the public restrooms, The Stephen Shy Activity Center is available for park programming, classes and special indoor events. Poncitlan Square is located in front of the Chimbole Cultural Center. The square may be rented for meetings, parties and weddings and features a gazebo, park atmosphere and fountain. This park features large grassy fields, a playground, picnic tables, a fenced section for dogs and a paved, lighted walking trail. 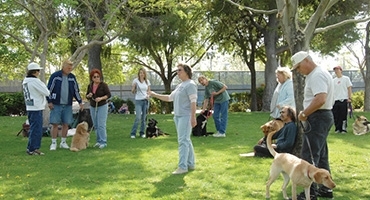 The park’s track-like perimeter attracts numerious Community walk-a-thons. This 14-acre park sits on land that was once part of an alfalfa farm owned by George and Olga Lane. In 1959, the land was donated for the purpose of creating a park to be enjoyed by the surrounding communities. Amenities include basketball courts, playground, baseball diamond, swimming pool and picnic benches. This 9-acre Named for baseball great Jackie Robinson park was dedicated on June 16, 1965. 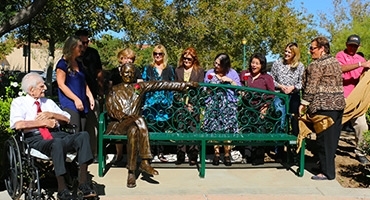 The dedication plaque was unveiled by Los Angeles County Supervisor Warren Dorn and honored guest Mr. Jackie Robinson. 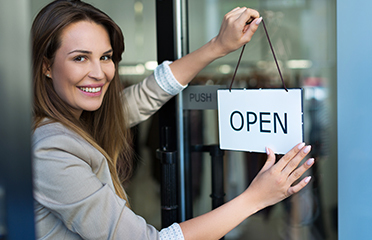 One of the driving forces for the park's creation is the Women’s Club of Sun Village, who advocate for educational and philanthropic causes and generate interest in civic, social, and economic issues in the community. Settled at the base of the San Gabriel mountains, Soledad Canyon RV Resort provides a beautiful campground with resort-style amenities. Towering cottonwood trees and Italian Stone Pines as well as Palm and Elm trees provide the campground with abundant shading. 15 acres of picnic areas surround a large swimming pool. 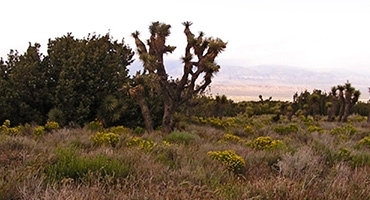 Donated to the State by farmer Arthur "Archie" Ripley in 1988, Arthur B. Ripley Desert Woodland provides a haven to an impressive stand of the valley's once-abundant native Joshuas and junipers. 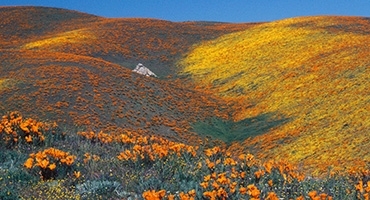 The woodland reserve can be found seven miles west of the Antelope Valley California Poppy Reserve. With an elevation of 3,651 feet, Saddleback Butte is a towering granite mountaintop that rises some thousand feet above the Antelope Valley basin that exists on the western edge of the Mojave Desert, about fifteen miles east of Lancaster. 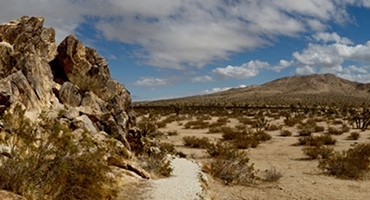 Created in 1960, the state park surrounding Saddleback Butte was built to protect the butte, the native Joshua Tree woodlands and plants and animals that were once abundant in the high desert region. 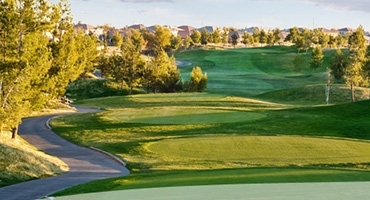 Enjoy a fine round of golf any time of the year at our public 9-hole golf course. Offering a varity of wide-open fairways, smooth rolling greens and a fair amount of water, our par 35, 2450 yard course provides a range of challenges and enjoyment for golfers of all sorts. 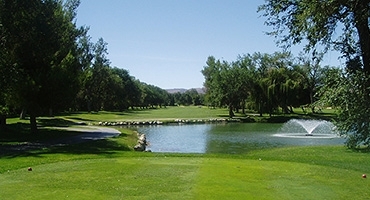 Antelope Valley Country Club is a 149 acre club that features an 18 hole / 72 par golf course, tennis courts, a pool, and a health and fitness center. Public banquet rooms are available for catering special events. 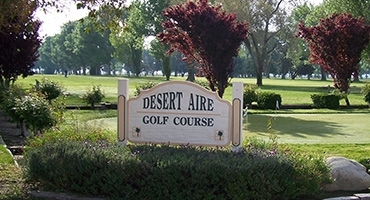 Desert Aire is a full length 9 hole golf course that runs about 3200 yards and has a snack bar and practice range. A golf academy is hosted every Saturday, for beginners to advanced. 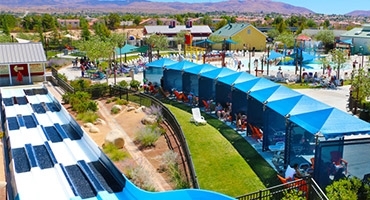 DryTown is the only water park in the Antelope Valley, making it the perfect destination for some summer fun. 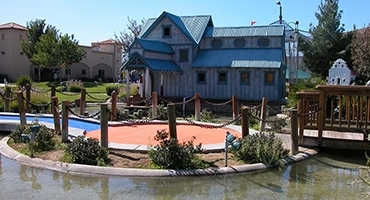 Featuring 6 acres of attractions and beautiful landscaping, DryTown water park is great for the whole family. 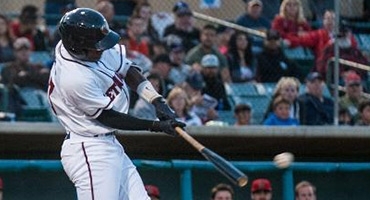 Copyright © 2019 Antelope Valley Community Updates and Events. All Rights Reserved.